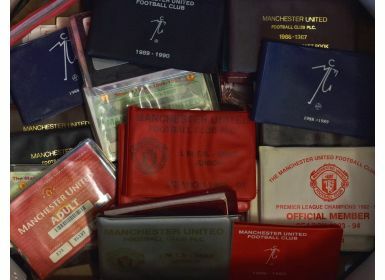 Manchester Utd memorabilia collection to include season tickets for seasons 1985/1986 x 2, 1986/1987 x 2, 1987/1988 x 2, 1988/1989 x 3, 1989/1990 x 2, 1990/1991 x 2, 1991/1992 x 2, 1992/1993 (1st season Premier League) x 2, 1993/1994 x 3, 1994/1995 x 3, 1995/1996, 1996/1997 x 2, 1997/1998, 1998/1999, 2005/2006, 2006/2007. 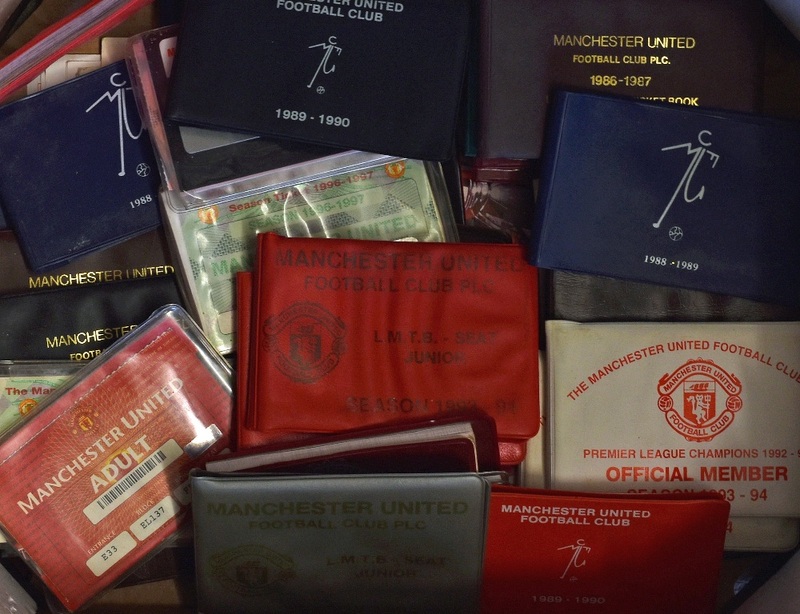 Also voucher/token sheets, 1990’s Xmas card, Mark Hughes caricature (signed at base), 2007 pocket diary, 1960’s supporters blazer badge. (1 small box) NB: season tickets contain unused ticket stubs.